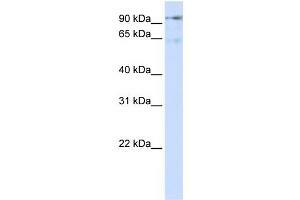 Characteristics This is a rabbit polyclonal antibody against DLG7. It was validated on Western Blot using a cell lysate as a positive control. Background DLG7 is a potential cell cycle regulator that may play a role in carcinogenesis of cancer cells. It is a mitotic phosphoprotein regulated by the ubiquitin-proteasome pathway. DLG7 is the key regulator of adherens junction integrity and differentiation that may be involved in CDH1-mediated adhesion and signaling in epithelial cells.